AFTER a few months of bickering, controversy and drama, the Zifa elections have come to a close and boy oh boy, what theatre we were treated to! 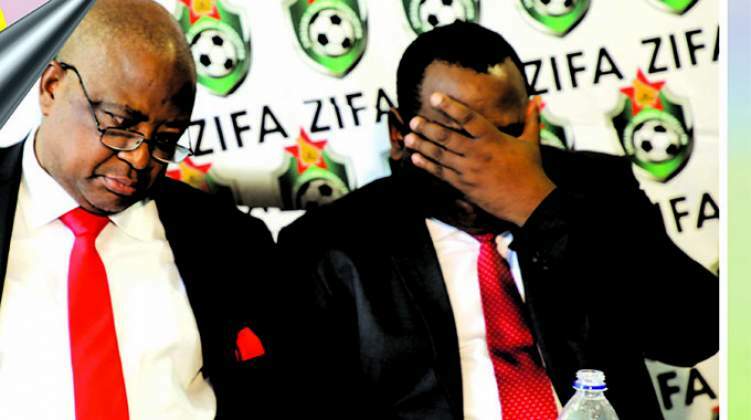 While those that suffered defeat will be licking their wounds throughout the festive season and counting their losses, and the winners will be taking their celebrations well into the festive season, for a lot of us distant observers, it is time to reflect on a period that has left a huge dent on the integrity of quite a few protagonists in the fight for Zifa. Defeat to heavy underdog Felton Kamambo on Sunday was a soul-crushing ending to former Zifa president Philip Chiyangwa, who arrived on the scene exactly three years ago, amid much fanfare and, like a tsunami, saw his influence quickly sweep across the continent to claim the scalp of Issa Hayatou - the long-serving Cameroonian, who was finally ousted after governing African football with an iron-fist for nearly three decades. But in due course, it became quite obvious that fame, power and, no doubt, some good fortune from the game, got in the way of Chiyangwa's good sense - if any ever existed - to be replaced by sheer absurdity. Chiyangwa's role on the Confederation of African Football (Caf) executive committee and his position as president of the regional confederation Cosafa - which represented or perhaps still represents his growing influence on the game in Africa - definitely gave a sense of invincibility at home. When power became sweeter, he was now unwilling even to countenance the idea of being challenged for the position of Zifa boss. So he tried to unconventionally ban his sole challenger, Kamambo, from taking part in the election, meaning Chiyangwa would have gone into the polls unopposed to retain control of Zifa. But quite clearly, he had underestimated the fight in his opponent and also the newly-found resolve of a previously-maligned electoral college that appears to have restored some proud for itself, if Sunday's result is anything more substantial than another mercenaries-for-hire act. And the outcome of the vote - more embarrassingly for Chiyangwa and his deputy Omega Sibanda - has now laid bare the real reason to fear the challenge of Kamambo and Gift Banda, Sibanda's conqueror in the vice-president race. What a travesty of justice it would have been had Chiyangwa and Sibanda's will prevailed against those that have been proved to have the support of the voters. Many would like to ask about the way forward, then, in this post-Chiyangwa administration era. Well, of course, there is a lot to be done, and the new team at Zifa under Kamambo will know all about it. But going by the shambolic manner which preceded the just-ended elections, how ethics were desperately and wilfully trumped upon by the old regime in order to cling to office, there is need to restore the integrity to the democratic process of Zifa. What happened before the elections was a deliberate transgression against the very constitution of an organisation that its leaders are supposed to protect. It is shameful and never again must it be allowed to rear its ugly head. World governing body Fifa were absolutely justified to intervene and resolve the impasse of the Zifa elections. What Fifa did is not just good news. It is a great step in the right direction in reminding those in positions of power that no one is bigger than the game. Hopefully there is light at the end of the tunnel.